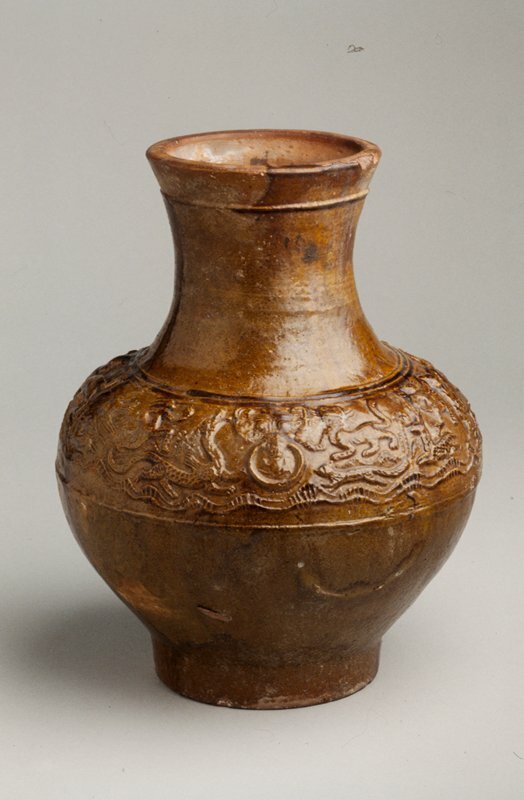 Late Zhou potters borrowed freely from ritual bronze vessel shapes. This is understandable because through most of the Shang (1523-1028 BCE) and Zhou (1027-256 BCE) dynasties, ceremonial bronzes constituted the highest art form. The tao tie mask handles, molded animal designs and shape of this earthenware hu relate closely to a bronze hu in the Pillsbury collection.